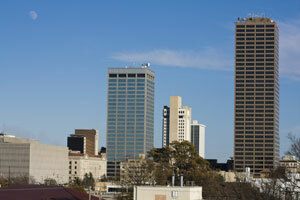 Little Rock is the capital of Arkansas, home to over 190,000 people, and is known to the locals as “The Rock.” The city has many different neighborhoods including Colony West, Downtown, East End, and Highland Park. This creates a large market available for effective advertising with specialized attributes. Target your audience with out-of-home advertising near attractions the Little Rock River Market District and the Little Rock Zoo. The major highways that service Little Rock can also be used for billboard ads. Billboards on I-40 or I-30 would generate high traffic exposure of your business. Zip Codes: 72201, 72202, 72203, 72204, 72205, 72206, 72207, 72209, 72210, 72211, 72212, 72214, 72215, 72216, 72217, 72219, 72221, 72222, 72223, 72225, 72227, 72231, 72295.